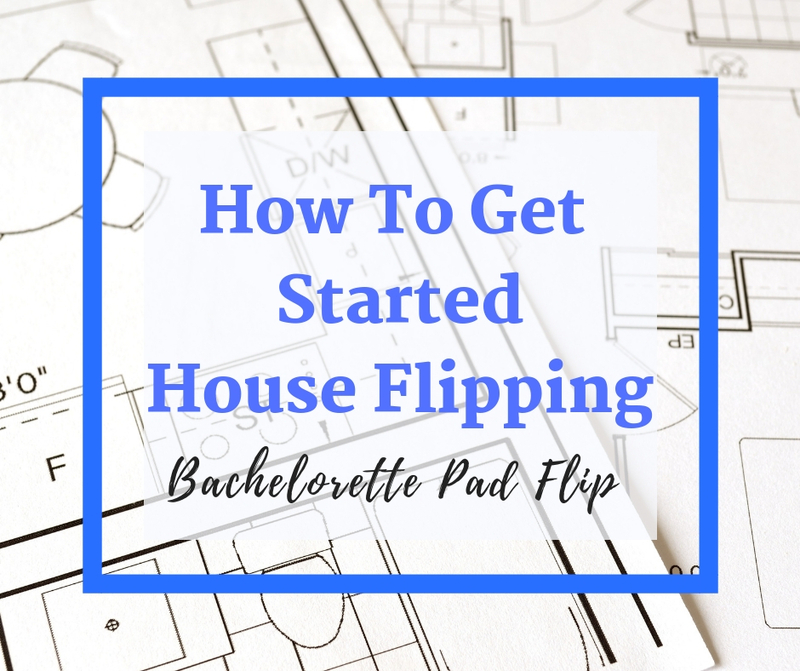 After years of doing this and seven flips under my belt, there is one question I get asked the most: “How can I get started house flipping?” I like to remind people, I didn’t start this journey to become a house flipper. I didn’t know I’d switch careers, and I had no plans to become a real estate investor! So I don’t have a framework of do this and you’ll become a house flipper. It’s a little, and a lot, more complicated than that. So while my tips are unorthodox or non-traditional, they’re what worked for me….and could work for you. How to get started house flipping takes creativity, patience, and a whole lot of inconvenience. Something to remember when you get started house flipping is that the benefits of buying a fixer upper are numerous. The IRS is incredibly generous to people that are buying fixer uppers, remodeling while living in them, and then selling for a profit. While it’s not as easy as HGTV makes it look, it certainly has tremendous potential. When purchasing government foreclosure homes, owner-occupants frequently have “first dibs” on foreclosed homes. This first look period excludes investors, so people looking to buy a home they’ll occupy get a shot at great deals without competing with investors. Owner occupants do not have to pay capital gains taxes on homes they sell for a profit! It’s one of the few IRS rules that is generous and beneficial to homeowners. This incentive allows single individuals to exclude up to $250,000 and married couples up to half a million dollars in gains! Less risk! By fixing up your own home, you have less risk, exposure, and liability than a secondary property. In order to get the most profit out of the house, you need to occupy the home for at least two years. This is part of the IRS rule that allows you to exclude your gains. This exclusion is only available to owner occupants that live in the home for two years. Prior to the two year mark, homeowners must pay capital gains taxes– decreasing your overall net profit. Time allows owners to save and finance the repairs rather than utilize credit cards or loans. Since homeowners must occupy the home for two years, it allows the renovation process to happen in stages- reducing inconvenience and allowing for budgeting. If you played your cards right with the first house, after two years you should be sitting in a good place with equity and appreciation. Once you have sold your home for a tax-free profit, you can utilize those profits to finance future projects! To get started house flipping multiple projects, utilize those profits as either down payments or repair money, & you should have the cash to start the domino effect. Another option to consider is splitting your profits between two properties. By using a portion of the profits as a down payment for your next home, you can utilize the remaining portion as a down payment for an investment property– either a rental or flip house. Again, to get the most bang for your buck, continue looking for a fixer upper that can appreciate with sweat equity! I get asked ALL.THE.TIME. how to get started house flipping, and this is my go-to answer every time. This strategy offers lower risk, huge potential, and, most importantly, gives you the traction you need to get going on multiple deals. It also gives you time and freedom to make mistakes that won’t ruin you financially as you learn the ropes. If you’re thinking 2019 is the year for you to get started investing, be sure to check out my post about where you can find foreclosures that don’t require cash!